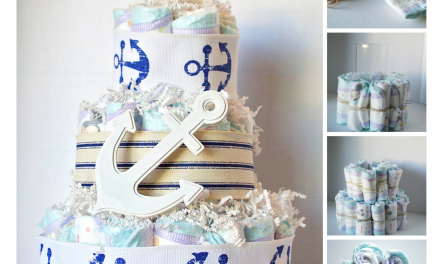 I originally shared this project on Brassy Apple. Today is my day to share it! 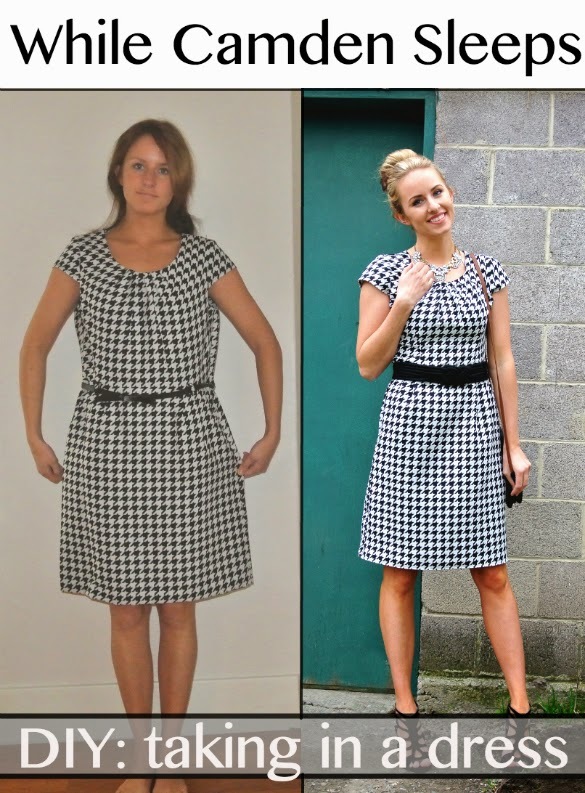 Today’s refashion shows the power of tailoring clothes to fit your individual body. 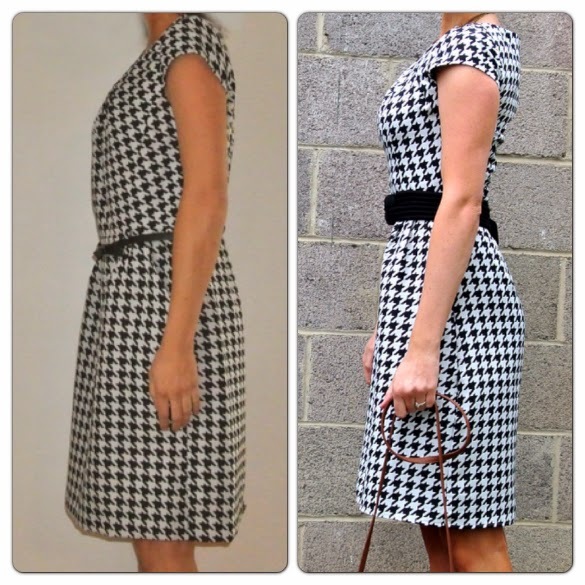 Refashioning doesn’t always mean that you have to completely change something–traditional altering can often make something feel like new again. I got this dress at Ross for $10. It was about 6 sizes too big. Obviously this was a problem that called for some changes. Taking in the side seams was the easiest and most dramatic change. And luckily, because it has capped sleeves, I didn’t have to remove and resize the sleeves after taking in the dress. First, I tried on the dress inside-out and marked where the new seam would be on each side. The dress was a sheath, but I made it more of a subtle A-line when I took in the seams of the skirt. After taking in the side seams, I discovered that the neckline was too large and didn’t rest on my chest properly. 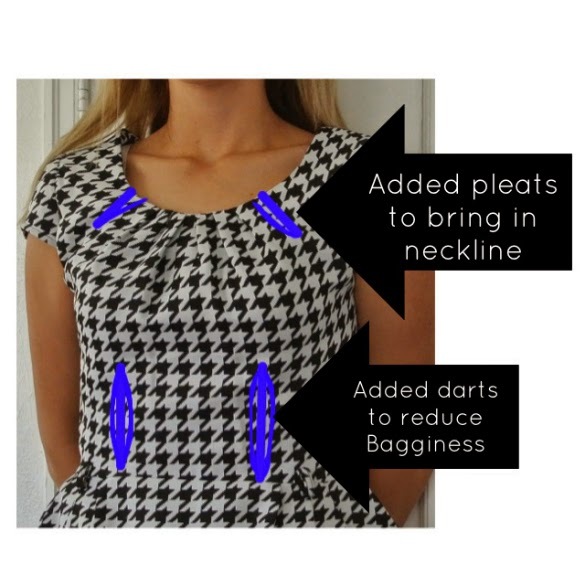 I assessed the dress and decided the best solution for this was to add an additional pleat to each side of the neckline. Normally, I would take it up in the shoulder seams, but since this dress already had pleats in the neckline, this made more sense. To remove extra material in the bust area, I added darts for a better fit. 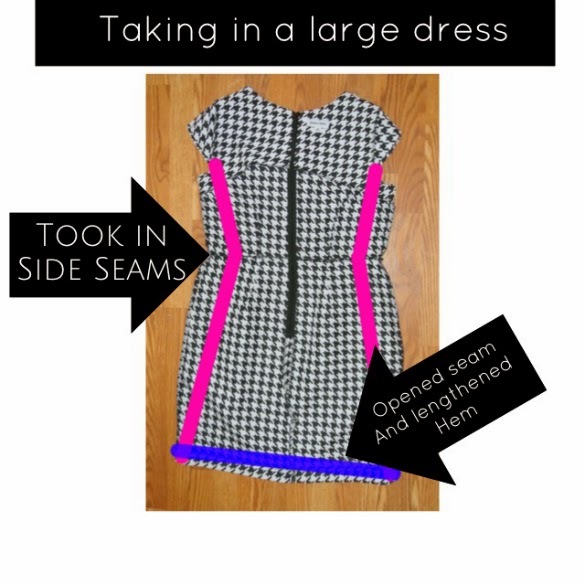 I don’t have a dress form, so I tried the dress on inside-out and marked where I wanted to take it in. 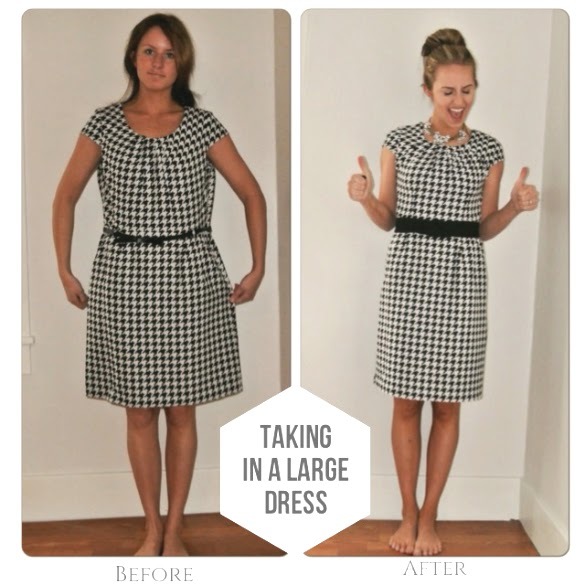 Summary: Having a dress fit properly can make a huge difference! looks great Kara! you are an inspiration.